Today is Valentine’s Day! It’s not a holiday I have ever really cared about, but on Wednesday I received this card from Mom with a check for $50 enclosed. It made my heart smile. I love my Mom’s youthful penmanship, and in grade school was even accused of forging her name on my report cards. 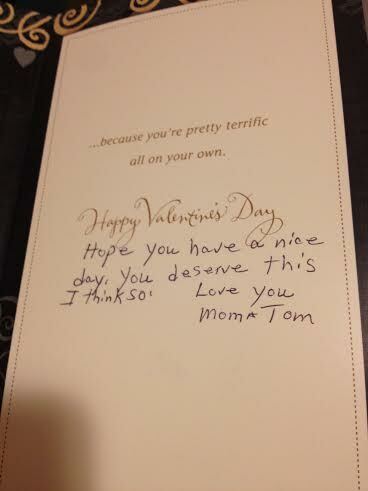 She won’t see this since she doesn’t have a computer, but Happy Valentine’s Day, Mama. Thank you. I love you.